Tchaikovsky died of cholera a few weeks after he conducted the premiere of the sixth symphony, his last symphony. Tchaikovsky himself was playing Russian roulette at the end and he was playing with the fate when he was drinking a glass of water in a restaurant where the cholera was going around St Petersburg. He says either I will survive or I will die. Unfortunatley he died at the age of 53 at the height of his artistic powers and at last recognised by his contemporaries as representing the future of music. See this really emotional performance by Philippe Jordan and the Orchestra of the Opéra national de Paris. To finish writing the symphony No. 5 Tchaikovsky moved in 1888 into a little country house outside Moscow where he loved to compose in the garden. Indeed, he wrote to his patroness Nadejda von Meck that, once he was tired of composing, he could perfectly well „devote his time to watching the flowers grow“. After four months of intense labour, he esteemed himself satisfied with the result. Listen to an excerpt of symphony No. 5, performed by the Orchestra of the Opéra national de Paris under the baton of Philippe Jordan. In two weeks finally available. Today we present you something really special – an enchanting journey into an extraordinary dream world where anything is possible. What could it be? One can describe it in a few words: It is a unique Pop-Opera-Dance-Theatre-Hybrid searching for it’s equal. Let yourself be enchanted by a spectacular performance from choreographer Ben Wright. Drift into a fantastical forest full of life and unexpected encounters. Watch our trailer and pre-order now your DVD or Blu-ray. „The feeling of going“ is available from 15 March 2019 on DVD and Blu-ray. The music comes from the album GO by the Icelandic pop legend Jónsi (Sigur Rós), sung by the Swedish soloist Moto Boy. Tchaikovsky composed this work in 1877, in the year he was unhappily married to Antonina Ivanovna Miliokova, a marriage which ends in a separation after only nine weeks, but also in the year when he stood in active letter contact with his patroness Nadejda von Meck, the dedicatees of the symphony. 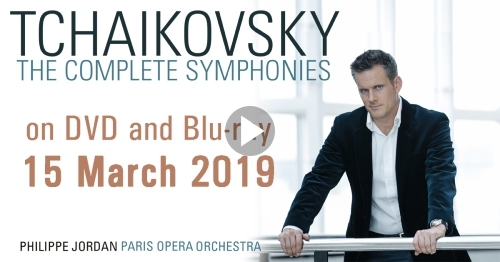 Philippe Jordan featuring his Orchestra of the Opéra national de Paris performed this symphony, which is characterised by the fate theme, at the Philharmonie de Paris in March 2018 and is soon to be released in our edition – only three weeks left until 15 March 2019. The third symphony was composed in less than two months between 5th June and 1st August 1875 but was remained overshadowed by the others. The only one of the six symphonies to have been conceived in five movements, Tchaikovsky favours the balance between thematic material and the elaboration of discourse rather than the repetition of simple ideas within a traditional form. Listen for youself – an extract of the third symphony which enjoyed a huge success in spite of the absence of folk music references or thematic unit and the lack of a climax. Performed by the Orchestra of the Opéra national de Paris at the Philharmonie de Paris on 27 March 2018, see an excerpt of the second symphony in which Tchaikovsky uses so much folk themes as in none of his other works. Three of the four movements include Ukrainian folk melodies transcribed during a visit the composer paid to his sister in 1872, in what was known as „Little Russia“. That is the origin of the symphonies name. Experience an excerpt of Tchaikovskys energetic Symphony No. 1, performed at the Opéra Bastille on 12 October 2017 featuring Philippe Jordan, who was named best conductor at the International Opera Awards in 2017. Pre-Order Now – TCHAIKOVSKY THE COMPLETE SYMPHONIES featuring Philippe Jordan and his Paris Opera Orchestra. The Swiss conductor appreciates Tchaikovsky as one of the most important Russian composers. All works underline the exceptional talent of Tchaikovsky as composer. The latest cycle of Tchaikovskys symphonic masterworks featuring Jordan and his Paris Opera Orchestra is available for the first time on DVD and Blu-ray. Out now – Watch the trailer of our upcoming release TCHAIKOVSKY THE COMPLETE SYMPHONIES under the baton of Philippe Jordan. Available on 15 March 2019. 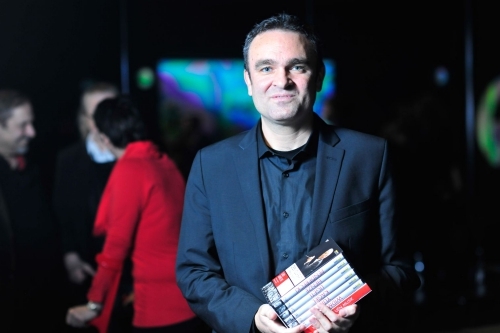 Philippe Jordan ranks among the most established and moust sought-after conductors of his generation. As Music Director of the Paris Opera he performed the complete symphonies of Tchaikovsky in total three concerts at the Opéra Bastille and the Philharmonie de Paris from October 2017 to May 2018. What makes this cycle special is Jordan‘s combination of the less well-known first three symphonies with the final three „great“ symphonies in every concert. Jordan has chosen to bring together the third and sixth as they represent milestones in the symphonic ensemble. The second and fourth share a proximity in writing (one rewritten in 1879 reflects the other created in 1878); the first, the most imaginative, and the fifth, the most positive, constitute an introduction to the cycle. The opera director Krzysztof Warlikowski has created something unique with his enthralling diptych. 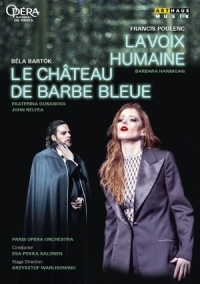 His undertaking to merge the two one-act-operas Le Château de Barbe Bleue composed by Bartók and Poulencs La Voix Humaine, staged for the Paris Opera, has been worthwhile. 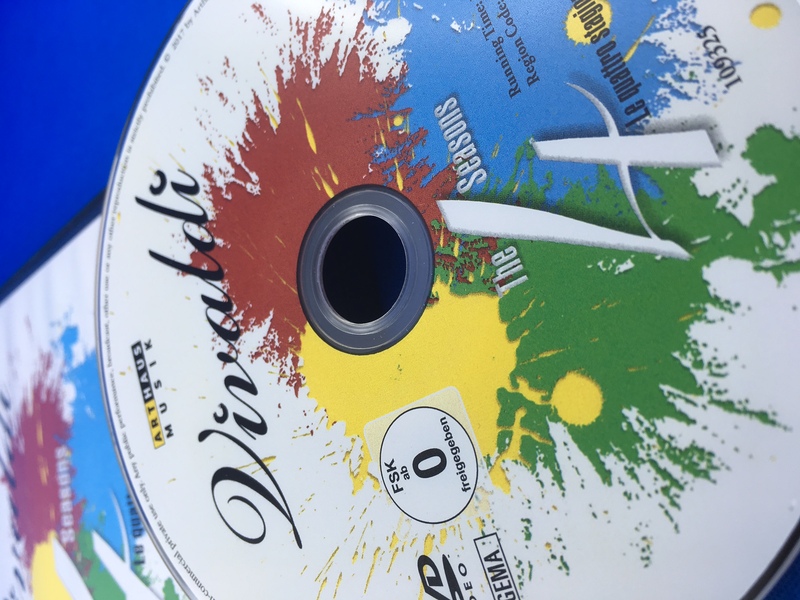 Now this production, released on DVD and Blu-ray at Arthaus Musik, wins the renowned ICMA 2019 in the category „DVD Video Performance“. Featuring the soloists like the exceptional Barbara Hannigan in the title role of La Voix Humaine and John Relyea as Duke Bluebeard at Bartók’s masterpiece as well as Ekaterina Gubanova, one of the best mezzo-sopranos of her generation. The Award Ceremony will take place on 10 May 2019 at the KKL Lucerne, Switzerland, with a Gala concert featuring the Lucerne Symphony Orchestra conducted by Lawrence Foster. The International Classical Music Award (ICMA) is considered as one of the most important awards for classical music worldwide and is granted every year since 2011. The independent jury is comprised of leading music journalists of important music magazines, radio stations and online-portals worldwide. For the ICMA 2019 the Jury has nominated 319 audio- and video- productions from 107 labels. Beside of the 16 CD- and DVD categories 8 special awards will be presented. 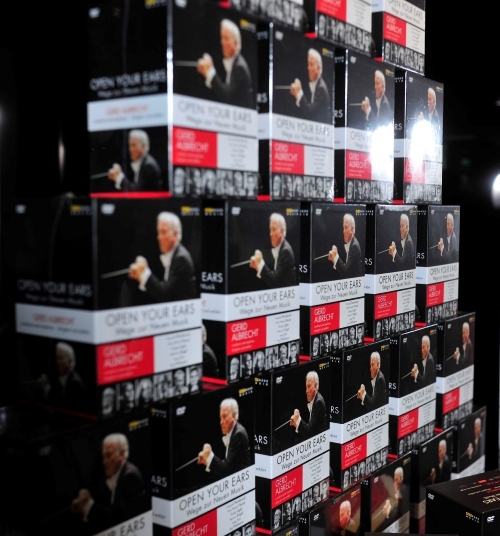 Get a first insight into our new edition – TCHAIKOVSKY THE COMPLETE SYMPHONIES. Featuring no less than the most sought-after conductor of his generation, the charismatic Philippe Jordan and his Paris Opera Orchestra. The finalists for the International Classical Music Awards 2019 were announced. The jury had nominate 319 releases in total. 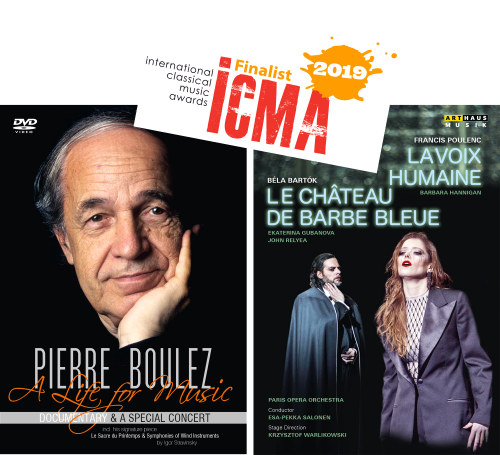 Now the three finalists in each category has been chosen and we are happy that the releases „Pierre Boulez – A Life for Music“, directed by Reiner E. Moritz, and „La Voix humaine / Barbe bleue“ featuring Barbara Hannigan in the title role belong to the finalists for the awards 2019. Keep the fingers crossed. The winners will be published on 17 January 2019. Filmmaker Reiner Moritz has been working with Pierre Boulez since 1973. When the composer, conductor and essayist passed away in 2016 Moritz decided to call on his friends and colleagues to make available archive footage in order to produce an in depth profile. He was much helped by Boulez´s younger brother, Roger, who shed some light on the childhood and youth of Pierre Boulez and provided photographs from the Boulez-Chevalier archives. Daniel Barenboim, a life-long friend, underlines his importance for the musical life of our time and shares wonderful anecdotes with us. The influential director Krzysztof Warlikowski creates an enthralling diptych that has not existed in this form before. He merges the two one-act-operas of Hungary’s greatest composer Béla Bartók and the brilliant French composer Francis Poulenc into one amazing work. A great achievement with pure emotions and passion in an excellent interpretation by the exceptional singer Barbara Hannigan in the title role of La Voix Humaine. In the digital age of the 21st century VR gaines an increasing role. Myriad of 360° videos are available, which offers the possibility for the viewer to experience the content as a kind of panorama from every angle and to stay in the middle. According to a statement made by the social network Facebook there are more than one million 360° videos at their own platform Facebook Surround available. Even Youtube and Vimeo account an increasing number of uploaded videos. This progress of this innovative technology do not stop at the classical music market, although there are no 360° opera productions available. All the more Arthaus Musik is pleased to present 360° FIGARO, the first opera shot with series of scenes from the beginning of Act II of Mozart’s Figaro in Virtual Reality directed by Jan Schmidt-Garre with a total running time of 20 minutes. 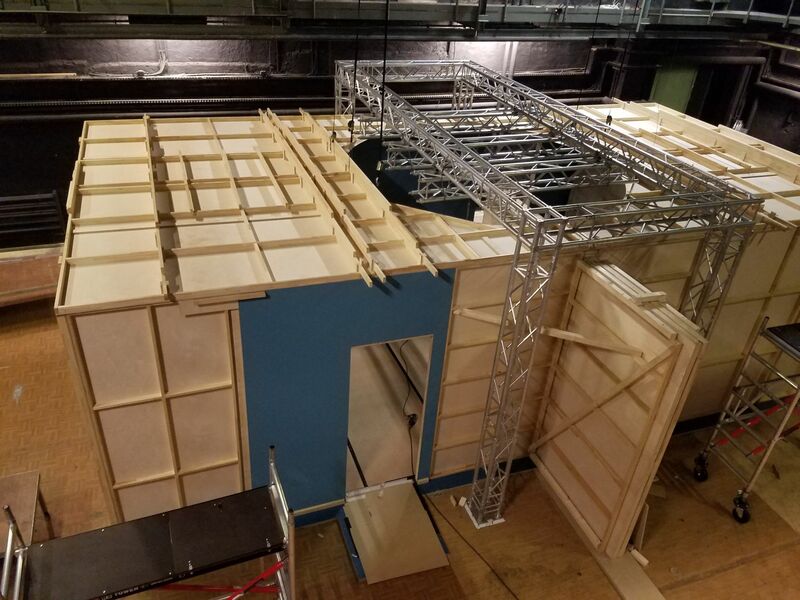 “360° Figaro” is a music film shot in virtual reality: an opera scene, for the first time conceived and staged exclusively for this new medium, live performed both vocally and instrumentally, recorded by a binaural sound recording technique. A series of scenes – coherent in itself – will be taken and shot from the beginning of Act II of Mozart’s Le nozze di Figaro. The viewer will be placed right in the centre of the performance which is staged exclusively for him. 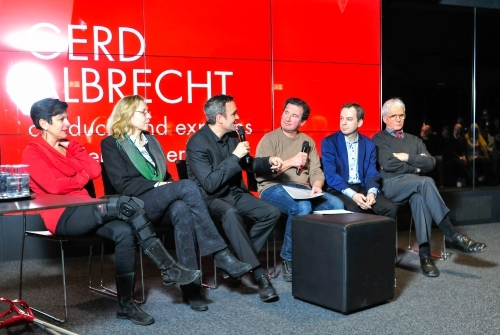 A production of Pars Media in collaboration with the Fraunhofer Institut and digital images GmbH, a post production company which is also located in Halle (Saale) as well as the sister company of Arthaus Musik GmbH. The project was supported by the Land of Saxony-Anhalt. PARS MEDIA is a production company based in Munich and Berlin specializing in documentary and feature films on classical music, dance and the fine arts. 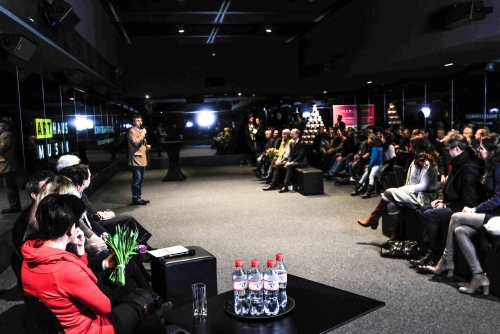 PARS MEDIA’s films have been broadcast in over thirty countries and won awards at festivals such as Chicago (Silver Medal), Prague (Czech Chrystal), Paris, Columbus, Monte Carlo, Munich and Berlin (Nomination for the German Film Prize). They have appeared on Laser Disc, VHS, and DVD and many have had theatrical releases. 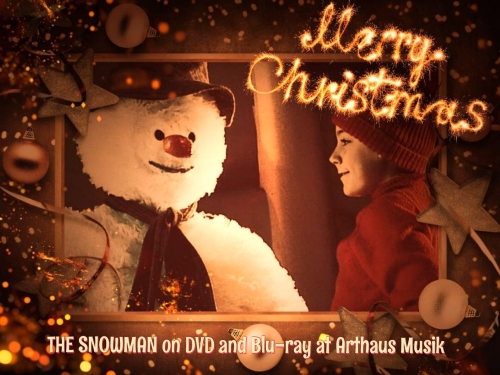 Arthaus Musik released a 15 part series of PARS MEDIA films on DVD. The post production company digital images offers customized services for all kinds of media products. As a company certified for all common distribution channels, it exploits high-quality content for platforms such as iTunes, TV, and cinema, as well as for the physical recorded music market. The production portfolio ranges from VFX design, film scanning, and digitalization in 4k/6k HDR up to 70 mm to video and audio restoration, dubbing, subtitling, sound mixing, and color grading. On the occasion of the 125th anniversary of Sergei Prokofiev in April 2016 the worldwide acknowledged Russian conductor Valery Gergiev featuring the Orchestra of the Mariinsky Theatre and world’s leading singer and instrumentalists like Leonidas Kavakos, Denis Matsuev, Sergei Redkin, Daniil Trifonov, Olga Borodina or Mikhail Petrenko performed all masterworks of the composer. A veritable Prokofiev marathon – the public had the chance to enjoy all symphonies, instrumental concerts, major cantatas and oratorios like the expressionistic Seven, they are Seven, the provocative Cantata for the 20th Anniversary of the October Revolution as well as his later masterpieces Alexander Nevsky and Ivan the Terrible in Moscow and St Petersburg on two days. A great project that could not had been possible without the insatiable energy of Valery Gergiev. As special feature of this extensive edition a 90-minute documentary about the life and work of the Russian composer Sergei Prokofiev has been added. The film is mainly based on a true story and shows the similarities between him and Russia’s famous conductor Valery Gergiev. After the successful and worldwide acclaimed Shostakovich Cycle the Russian conductor Valery Gergiev performed his second audiovisual masterpiece. There is no comparable product on the market. We don't want you to miss the magnificent performance of Prokofievs Piano Concerto No. 2 in G minor, op. 16 from Denis Matsuev conducted by Valery Gergiev. 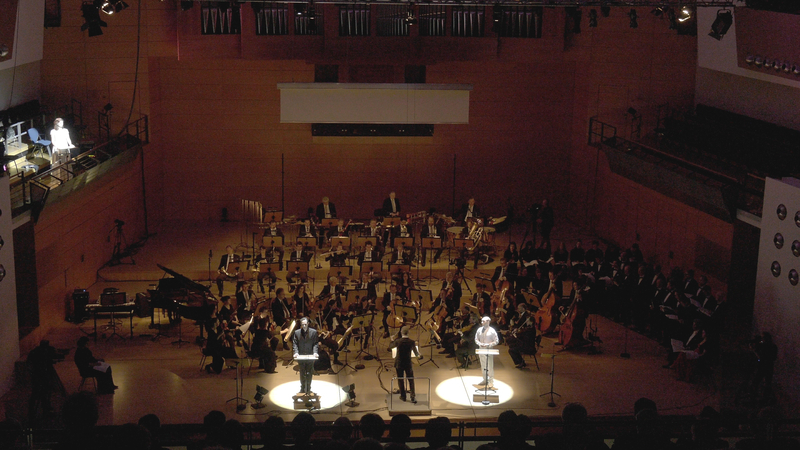 See the whole concert in our upcoming Prokofiev edition which we will release soon. 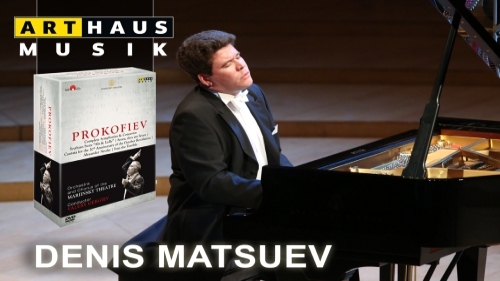 Denis Matsuev has become a fast-rising star on the international concert stage since his triumphant victory at the 11th International Tchaikovsky Competition in Moscow in 1998, and is quickly establishing himself as one of the most sought after pianists of his generation. 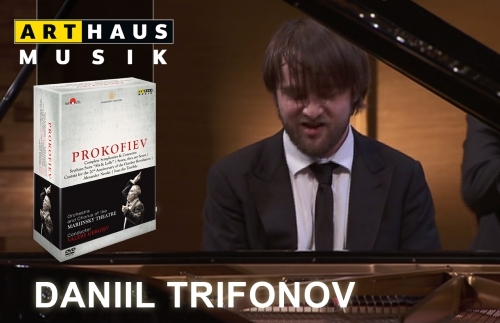 A fabulous and expressive interpretation of Prokofievs Piano Concerto No. 3 in C major, op. 26 from Daniil Trifonov under the baton of Valery Gergiev. 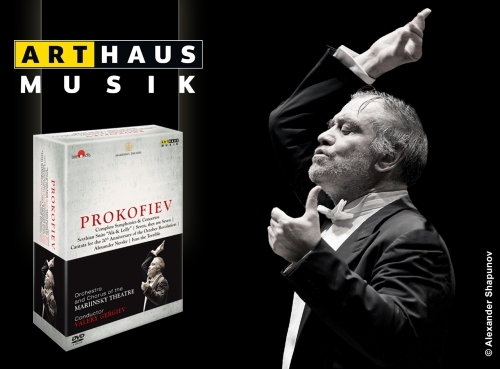 In just four weeks our Prokofiev Edition including this oustanding performance will be finally available. 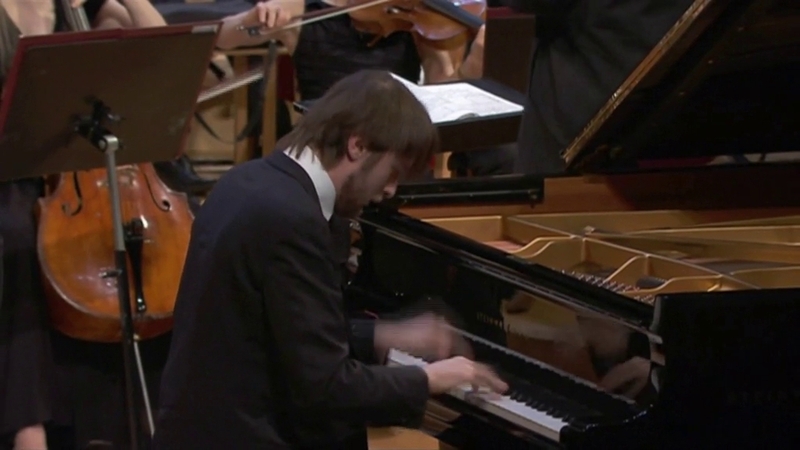 The Russian pianist Daniil Trifonov has made a spectacular ascent in the world of classical music since winning First Prize at both the Tchaikovsky and Rubinstein competitions in 2011 at the age of twenty. Combining consummate technique with rare sensitivity and emotional depth, his performances are a perpetual source of awe. Experience Mikhail Petrenkos performing the Oratorio „Ivan the Terrible“ in our upcoming PROKOFIEV edition. Only five weeks up to the release. 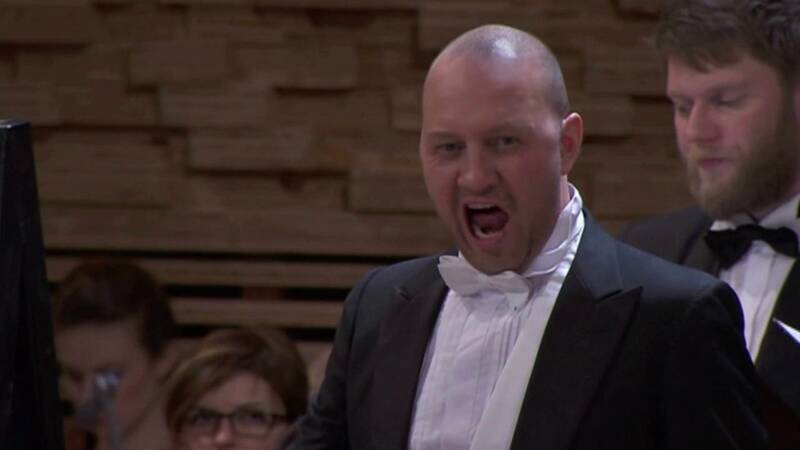 Mikhail Petrenko was born in St Petersburg and graduated from the St Petersburg State Rimsky-Korsakov Conservatoire in the class of Professor Minzhilkiev. While still a student he was invited to join the Mariinsky Academy of young Singers. He made his debut at the Mariinsky Theatre in Prokofiev’s opera Semyon Kotko, and since 1998 has been a soloist with the Opera Company. The start of Mikhail Petrenko’s international career came with his debut at the Berliner Staatsoper as Hunding (Die Walküre) in 2004 under the baton of Daniel Barenboim. Since then, Mikhail Petrenko has been invited to the world’s leading opera houses and prestigious opera festivals. Congratulation to Valery Gergiev who celebrates his 65th birthday today. 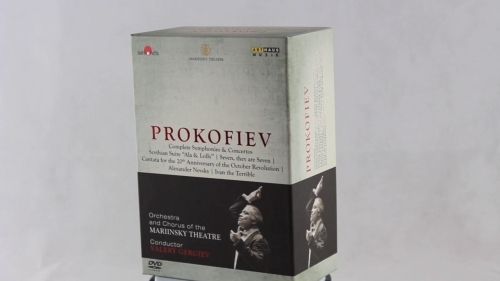 Only few weeks until the release of our new PROKOFIEV edition featuring the great conductor. 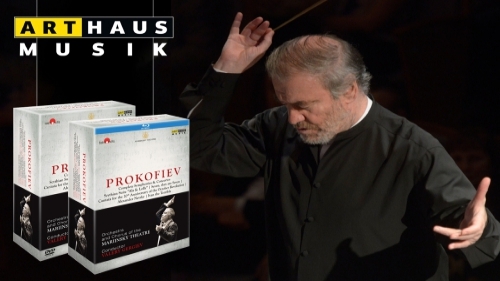 Gergiev conducts Prokofievs masterworks: all symphonies, concertos as well as major cantatas and oratorios. This is our new edition with Valery Gergiev conducting the Orchestra of the Mariinsky Theatre. Outstanding performances of all Prokofiev symphonies, concertos as well as major cantatas and oratorios on two days in Moscow and St. Petersburg. Featuring highclass soloists like Daniil Trifonov, Leonidas Kavakos, Olga Borodina, Denis KOZHUKHIN, Denis Matsuev, Vadym Kholodenko, Kristóf Baráti, Sergei Redkin, Alexander Ramm, Alexei Petrenko, Igor Morozov, Yulia Matochkina and Mikhail Petrenko. 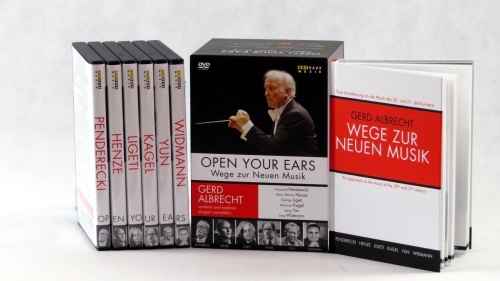 The sounding legacy of the great conductor and music educator Gerd Albrecht. Many thanks to Jörg Widmann for your statement. On 02 March 2018 we presented our new Edition "Open Your Ears - Wege zur Neuen Musik" in cooperation with the Klingendes Museum Berlin at the Brandenburger Tor Museum. It was a wonderful day in Berlin and the long looked-for result of a fruitful but also hard work since the beginning in September 2011. It was worthwhile and we are proud of this product which is soon available. Only one week until the release. Thanks to all participants of the presentation - first of all Jorg Widmann, Katharina Albrecht-Stadler, Sabine Zahn, Andreas Göbel and Andreas Lichtschlag and thanks to the Commerzbank-Stiftung. Without their lavish support the Edition has not could be realised. We want to share some moments from our event. It’s time to meet. 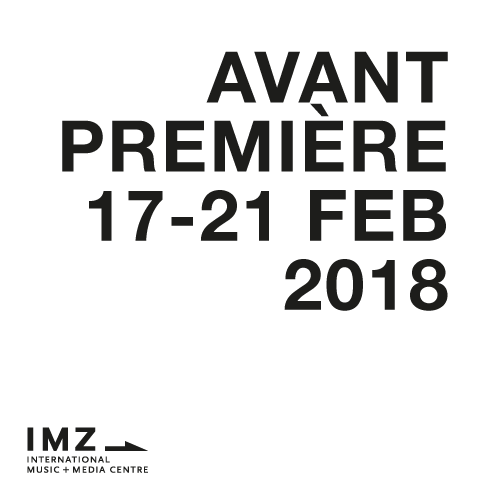 Meet us at the Avant Premiere which takes place from 17-21 February 2018 in Berlin! Arthaus Musik will be present at the largest international trade fair for cultural TV content. We present our latest film productions, among them „Luther – An oratorio“ which was composed by Oscar Strasnoy, the internationally acclaimed composer of contemporary music, and Christoph Hein, one of the most important German authors, on the occasion of the 500th anniversary of the Reformation – a classical highlight in the Luther decade. The oratorio which is devoted to the life and work of Martin Luther had its premiere on 22./23. October 2017 at the Händel-Halle in Halle. In the second phase the oratorio will be complemented by a subsequent visualisation with further film footage appropriate for the content of the libretto. After the successful and worldwide acclaimed Shostakovich Cycle the Russian conductor Valery Gergiev performed his second audiovisual masterpiece – PROKOFIEV. It includes the complete symphonic work of Sergei Prokofiev in conjunction with the concerts, major cantatas and oratorios. A brand new production in Moscow and St Petersburg on the occasion of the 125th anniversary of Sergei Prokofiev in April 2016 with outstanding soloists like Daniil Trifonov who was recently awarded with the Annual Prize of the German Record Critics 2017, Leonidas Kavakos, Olga Borodina or Denis Kozhukhin. A great project that could not had been possible without the insatiable energy of Valery Gergiev. Coming soon at Arthaus Musik! Elly Ney (1882-1968) is a myth, a legend. Some worshipped her as the high priestess of Beethoven, for others she was Hitler’s pianist. With the help of contemporary witnesses, experts and music researchers this film explores the real causes for Elly Ney’s rapid career as a pianist, her great successes in America and her cultural-political entanglements in the Third Reich. 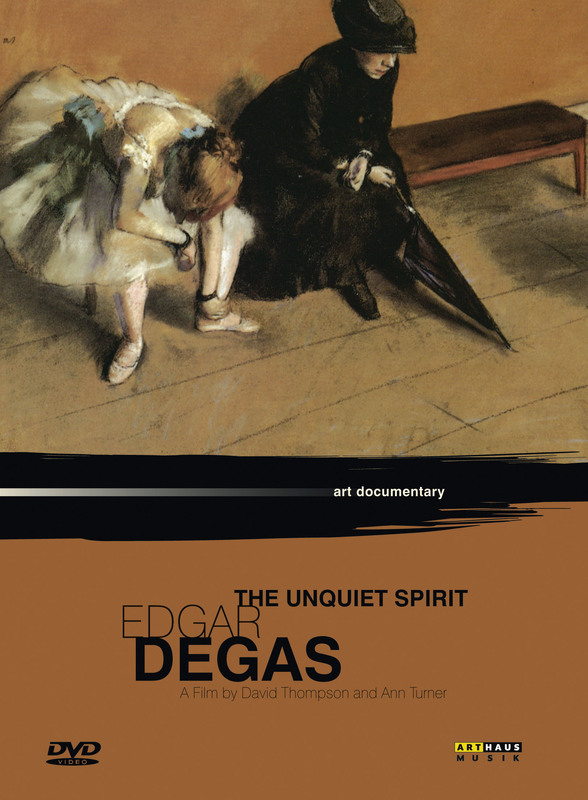 Texts and partly unpublished footage complete the film and audio productions about one of the most prominent and controversial pianist of the 20th century. An exciting search for traces in the life and work of Elly Ney. 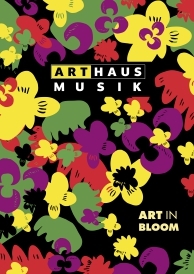 Happy New Year from Arthaus Musik! Out now! Our Edition "Mondscheinsonate - Die Volkspianistin Elly Ney" is now worldwide available. 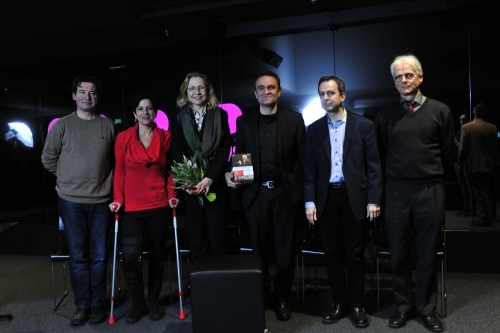 A production of DOKFABRIK, co-produced by DokFabrik and WDR in cooperation with Arte. Radio-Feature: A cooperation with BR-KLASSIK and Südwestrundfunk. Horses, female nudes, and the ever-recurring enchanting dancers compose the world of Edgar Degas. Himself a son of the nobility, he chose to study humans in everyday situations, and life in motion. A tightening of the shoelace, a horse in mid-gallop, a bathing woman – Degas, close to the Impressionists, provoked Paris’s art critics with these snapshots captured in off-centre framings, radical perspectives and compositions. Ann Turner delves into the atmosphere of the works and reveals, besides Degas the gifted draughtsman and painter, also an experimental graphic artist, sculptor, photographer and poet. 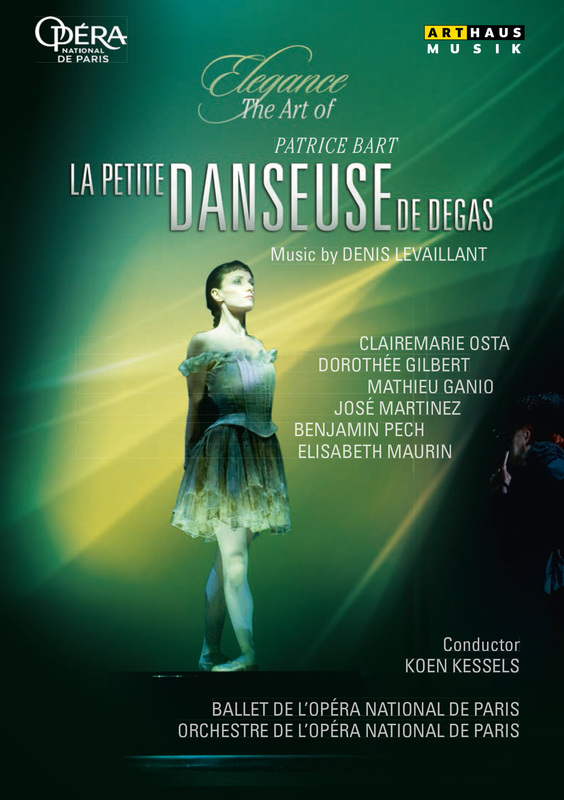 The idea of creating a ballet came to Brigitte Lefèvre, the Ballet’s dance director, after reading Martine Kahane’s research about Degas’ sculpture “La Petite Danseuse de quatorze ans”. Although numerous exhibitions, books and fi lms had already been dedicated to Degas and dance until then, no choreographic work had ever really done so. Choreographer Patrice Bart and composer Denis Levaillant translated the intrinsic modernity of a 19th century story into music and the language of the stage. Coming soon on DVD and Blu-ray - a brand new and unique opera production which is a combination of dance and opera by the renowned choreographer Anne Teresa De Keersmaeker. 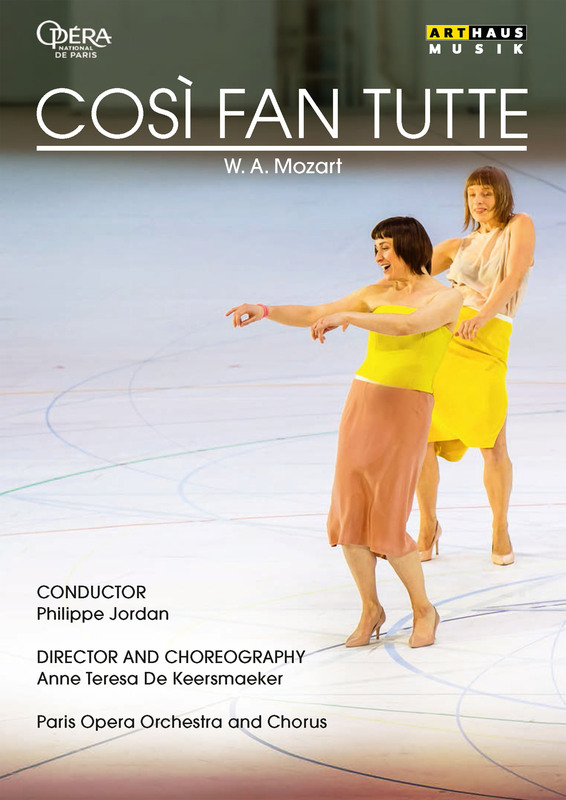 The direction of Così fan tutte has been entrusted to the choreographer Anne Teresa De Keersmaeker who has chosen to embody each of the characters through both a singer and a dancer. From the preconceived notion of constant and eternal love, the lovers shift progressively towards the more complex realisation that feelings of love are more akin to perpetual motion. The production lives by its movements and colours in the French noble style and will be staged in the fall 2017 season at the Opéra national de Paris. This is our new edition about Elly Ney - one of the most controversial pianist of the 20th century. 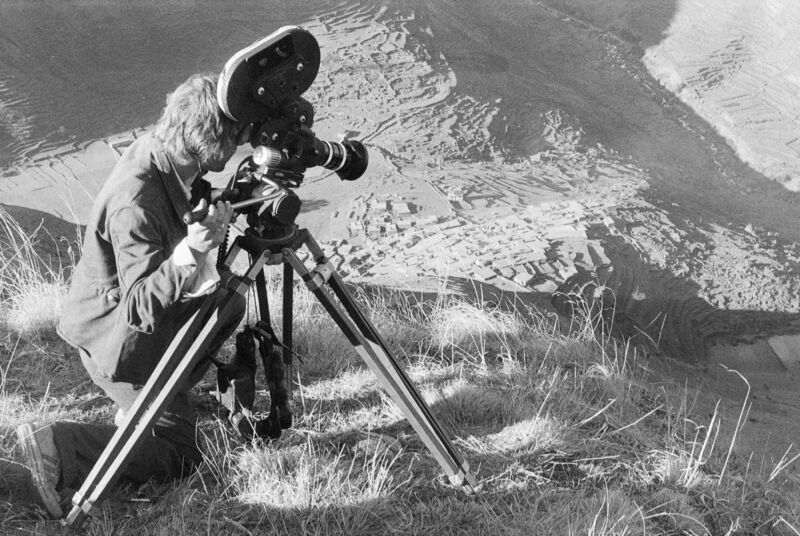 After 50 years of Elly Ney’s death Frithjof von Bodungen opened his private archive to make rarely photographs, audio footage and personal letters accessible. Including a brand new biographical documentary by Axel Fuhrmann (DOKFABRIK) and much more. You can be curious! Available in September! 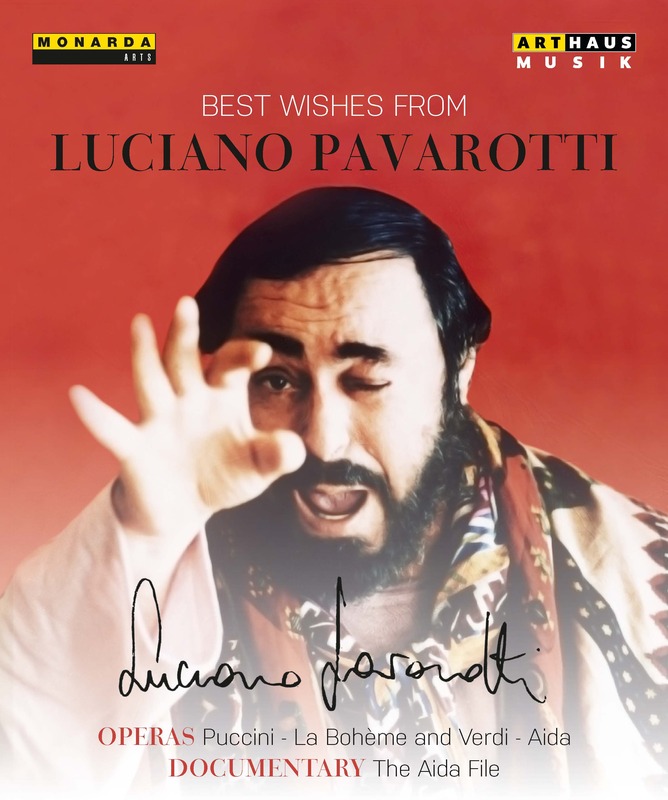 On 16th September 2007 the greatest tenor of all time left the stage forever, but Luciano Pavarottis appearances in the world of opera are still unforgotten. Now you can relive the biggest moments of the star tenor: La Bohème from the Opera San Francisco and Aida from the Teatro alla Scala in Milan. 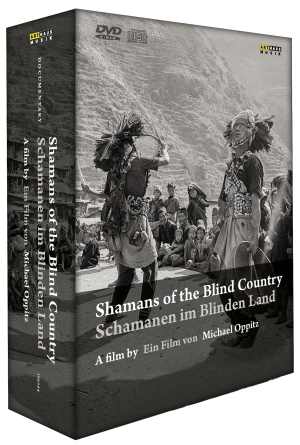 Our edition Shamans of the Blind Country, directed by Michael Oppitz, has been awarded with the German Record Critics' Award. An independent jury of leading german music journalists honors the edition as one of the „Quartely Best“ of new releases for the third Quarter 2017. Elly Ney – the most controversial pianist of the 20th century. An exciting search for traces with partly unpublished footage on DVD and CD. Mahadev mixed the ashes of the burned woods of the Himalaya with the feces of the Naked Bird and shaped two human figures, who began to talk suddenly – that’s where even we were astonished! Michael Oppitz explained it to us. Transcribed and translated for the first time: the creation myths of the Magar in northwest Nepal, now available in our new release SHAMANS OF THE BLIND COUNTRY! Michael Oppitz was the first person who transcribed and translated the mythical chants of the Nepalese Magar. Even 30 years after his time there he can still sing all the verses! Take a look! Sehr empfehlenswert: Das Interview über Schamanismus von Uwe Ebbinghaus mit Michael Oppitz! Ein zweiteiliger Film epischen Ausmaßes mit einer Laufzeit von 4 Stunden über das magische Heilverfahren in einer abgelegenen Region Nordwest-Nepals. TEIL 1 verfolgt die vielfältigen Rituale, welche die Schamanen für ihre Patienten anberaumen und TEIL 2 konzentriert sich auf die Weitergabe schamanischen Wissens. Die Edition enthält zwei Sprachversionen – eine englische, eingesprochen vom berühmten „Naked Lunch“-Autor William S. Burroughs und eine deutsche Version, die der Regisseur Michael Oppitz selbst eingesprochen hat. Es ist der umfangreichste, auf wissenschaftlichen Erkenntnissen basierende Film über die Schamanen. Maya Plisetskaya – outstanding und worlwide successful prima ballerina. 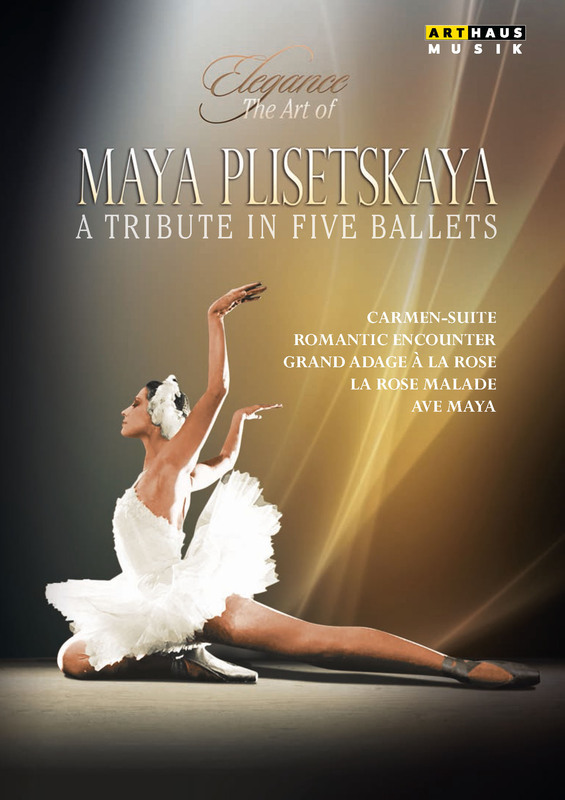 To honour a great ballet dancer and choreographer who died at age 89 on 2nd May two years ago the DVD „Maya Plisetskaya – A Tribute in five ballets“ is available again as part of our ballet series "Elegance – The Art of". Experience brilliant recordings of the most important milestones in her career choreographed by Roland Petit or Maurice BéjartMaurice Béjart. She created her own style which was characterized by a brilliant technique, elegance, perfection of each individual gesture and pose, always in combination with her beautiful dramatic art and extraordinary musicality. 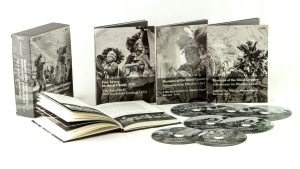 Out now – our extensive edition SHAMANS OF THE BLIND COUNTRY. 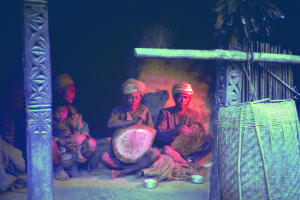 Over a period of 18 months the ethnologist Michael Oppitz follows the life of the Magar in the Himalayan region. The result is an epic documentary. Stay tuned! Next week we are going to present this edition in more detail. Today is Arbor Day (“Tag des Baumes”) and we would like to draw your attention on these 8 studies on animated still lifes and music. 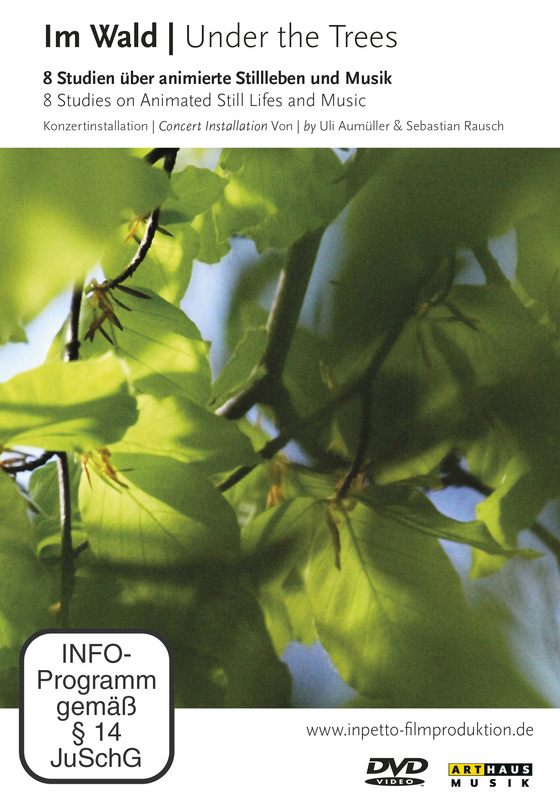 This DVD by Uli Aumüller and Sebastian Rausch shows 8 examples of how panoramic pictures of the forest can be synchronized through merging them with music of different periods in time and styles. Perfect to relax! 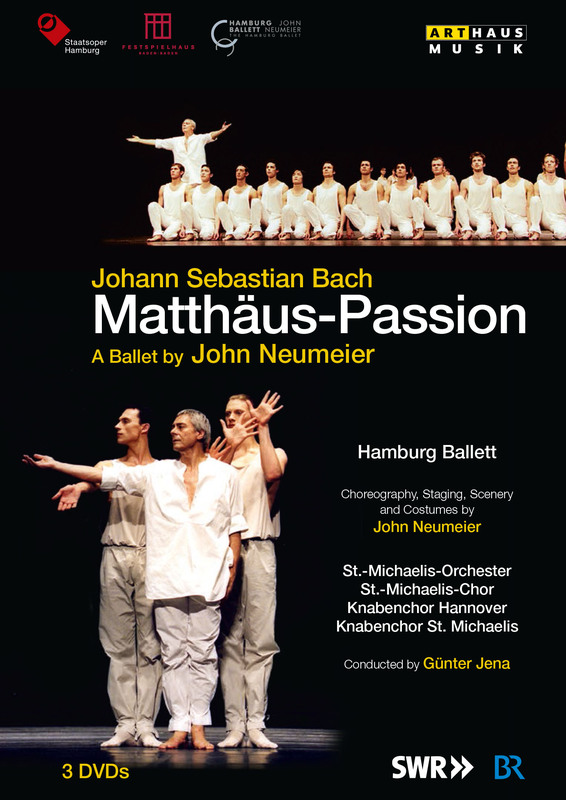 To set the tone for this Easter weekend we recommend this highlight of protestant church music interpreted by the worldfamous choreograph John Neumeier and the Hamburg Ballett in a live recording from the Festspielhaus Baden-Baden. Two of the most famous works of two great composers. Let I Solisti Veneti and Claudio Scimone musically guide you through the year in the Four Seasons and enjoy the Creation featuring the Scottish Chamber Orchestra conducted by Peter Schreier with Edith Mathis, Christoph Prégardien and René Pape! 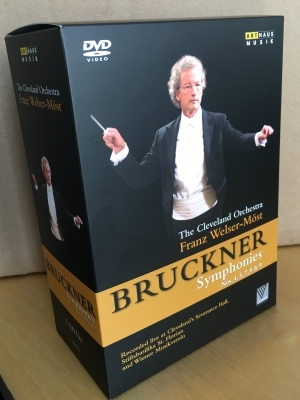 This concert edition contains 5 stunning performances from Cleveland’s Severance Hall, the magnificent Golden Hall at the Wiener Musikvereins and the Stiftsbasilika St. Florian, featuring the acknowledged bruckner specialist Franz Welser-Möst and The Cleveland Orchestra. The intense and calm conducting of Franz Welser-Möst as well as the inimitable intonation of The Cleveland Orchestra have set new standards in Bruckner interpretation. Convince yourself of the quality of this performances. A production of Clasart Film- und Fernsehproduktions GmbH in cooperation with ATV, NHK and ORF, WVIZ/PBS IDEASTREAM and Felix Breisach Medienwerkstatt GmbH. 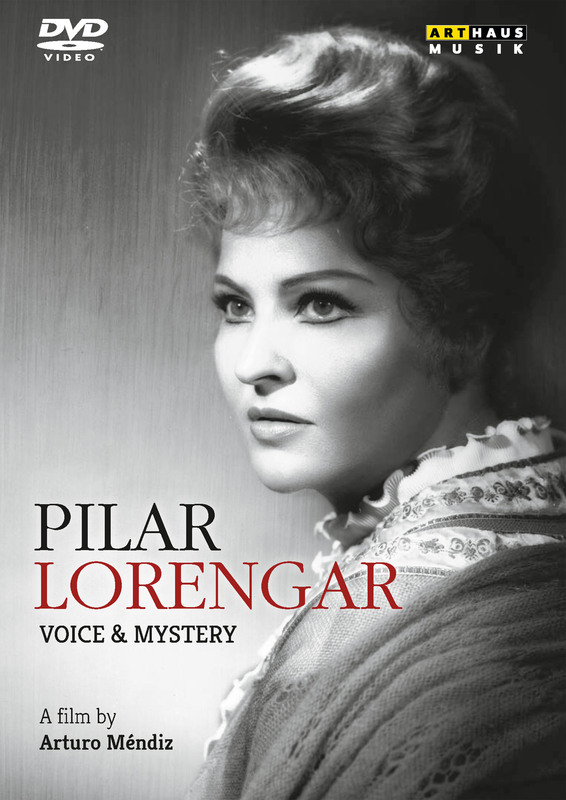 PILAR LORENGAR - VOICE & MYSTERY - New and never before released impressions from Pilar Lorengar. For more than 30 years the Spanish soprano Pilar Lorengar has been an all-around admired star at the ensemble of the Deutsche Oper Berlin. The film by Arturo Méndiz tells the story of this strong woman, who freed herself from the poorest circumstances in her birthplace Zaragoza and became a worldwide acclaimed star. Visit Arthaus Musik at the Leipzig Book Fair 2017! We are looking forward to welcome you at booth number C205 in Hall 4. 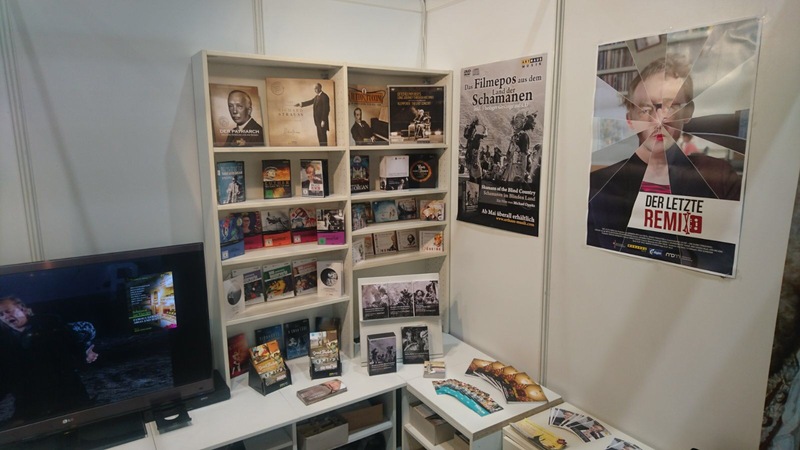 We present our upcoming release "Shamans of the Blind Country" at the Leipzig Book Fair. Look forward to one of the most extensive, scientifically founded films about shamanism directed by Michael Oppitz who is known for his intensive fielwork about shamanism. The edition is to be released in Mai 2017. 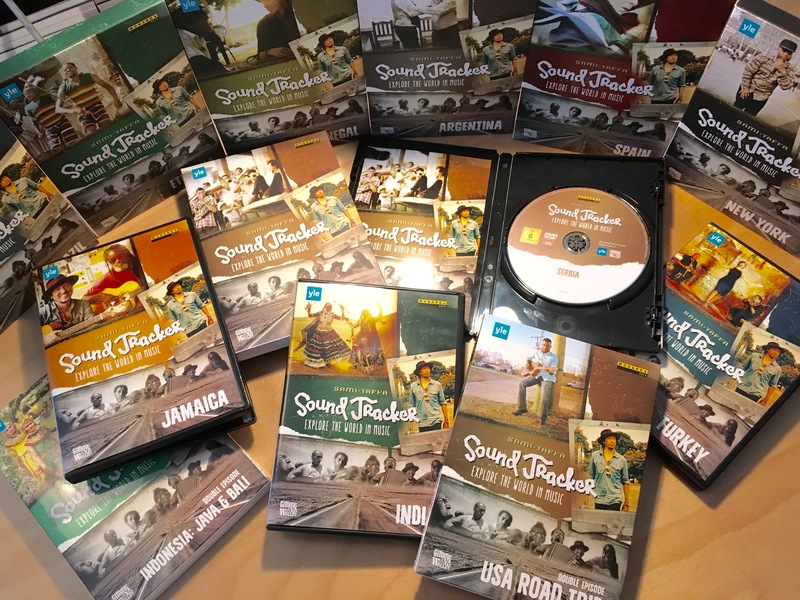 The stunning and successfull music series SOUND TRACKER with Sami Yaffa, released by our subsidiary Monarda Arts, has been awarded with the German Record Critics' Award, too. An independent jury of leading music journalists honors this series at the "Quartely Best" for the first quarter in 2017. Click here for further information about all episodes. Sami Yaffa takes a musical trip around the world searching for traditions and musical cultures. Starting in the USA in his hometown New York, Sami Yaffa has toured to Argentina, Spain, Turkey, Brazil, Senegal, Ethiopia, Serbia, India, Indonesia and Jamaica. 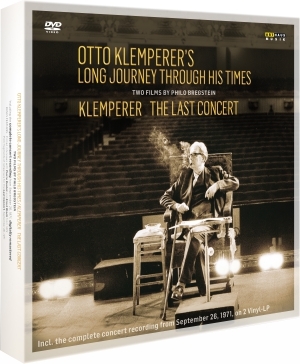 Our exclusive edition Otto Klemperer’s Long Journey through his Time, directed by Philo Bregstein, has been awarded with the German Record Critic’s Award. An independent jury of leading german music journalists honors the edition as one of the „Quartely Best“ of new releases for the first Quarter 2017. 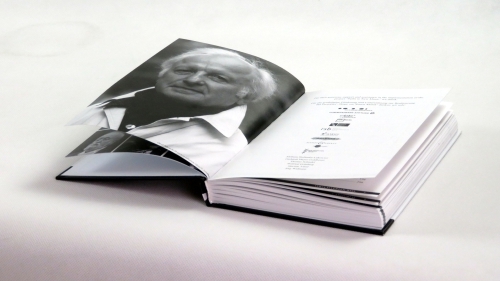 The edition is dedicated to one of the most influential conductors of the 20th century. 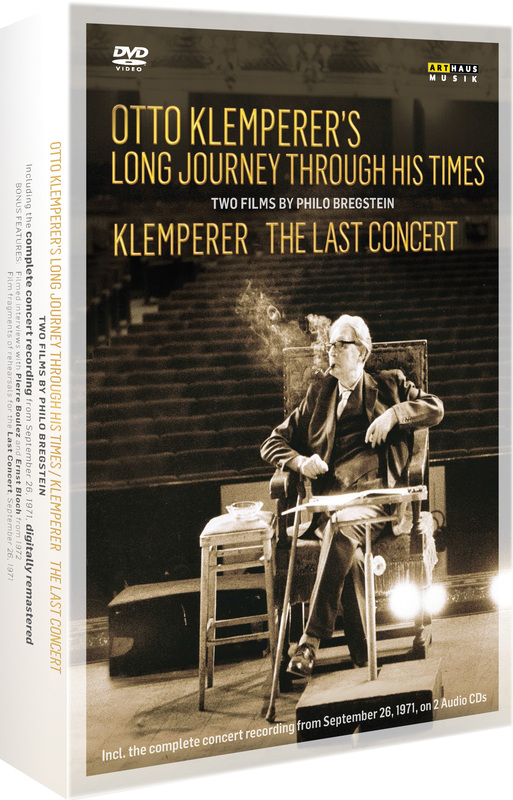 Featuring two revealing documentaries by Philo Bregstein with restored and re-edited archive material, the complete audio recording of the last concert, digitally remastered, from September 26, 1971 on 2 Audio CDs or 2 Vinyl LPs (180g). Includes a 180 pages book and filmed interviews with Pierre Boulez and Ernst Bloch from 1972, never seen before. 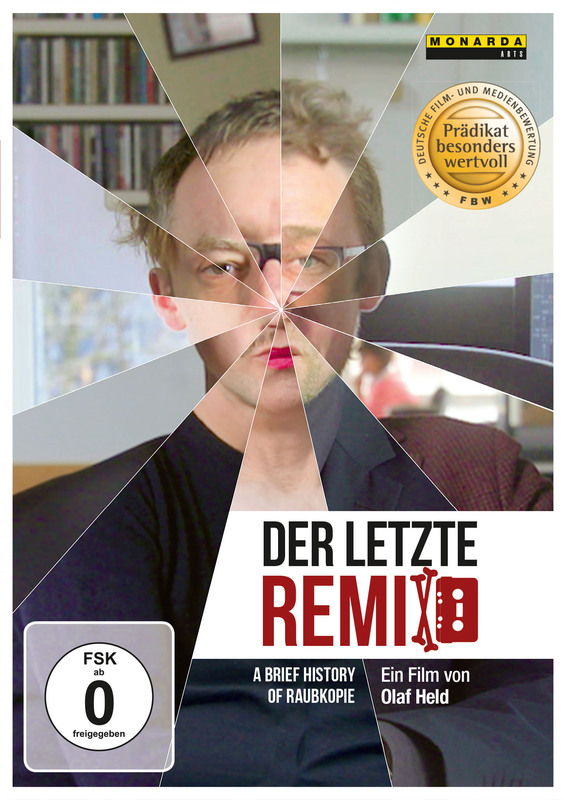 DER LETZTE REMIX endlich auf DVD erhältlich - Olaf Helds aufschlussreicher Dokumentarfilm über ein Thema, welches uns in der Musikindustrie selbst immer wieder verfolgt: Das Urheberrecht! Der berühmte YouTuber Mashup-Germany berichtet von seinen eigenen Erfahrungen. Seine Musikcollagen, die er auf der Videoplattform einem breiten Publikum zugänglich machte, wurden gelöscht, weil sie das Urheberrecht verletzen. 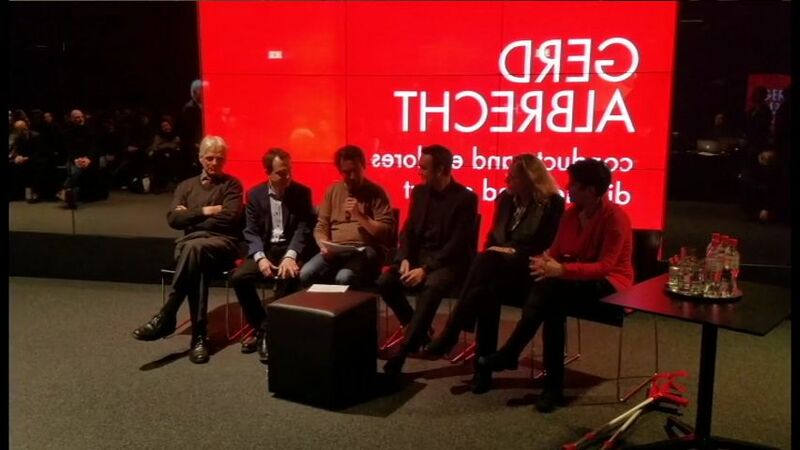 Experten wie Medienkritiker Stefan Niggemeier, Produzent und ehemaliger Berliner Kulturstaatssekretär Tim Renner, Komponist Johannes Kreidler, Journalist Dirk von Gehlen und viele weitere kommen zu Wort und begeben sich auf einen schmalen Grat zwischen legaler und illegaler Nutzung von Musik, Bildern und Videos. Eine Produktion von Monarda Arts und digital images in Zusammenarbeit mit ZDF - Das kleine Fernsehspiel. Rezensent Dr. Daniel Krause lobt unsere exklusive Edition "Otto Klemperer's Long Journey through his Times" auf klassik.com.